1929-1954 GM Front Wheel Outer Bearing Cone. 909501. 1929-1958 GM Front Wheel Bearing Outer Cup. 909601. AGS Specialty Products. AB-9007. New. Auto Air Conditioner 372 Dye Cleaner UV Spays Away. New. Auto Star ES2033RL Front Steering Tie Rod End 78-95. New. Automotive Peace Sign. Pink. New. AutoStar ES409L 71-96 Chevrolet C10 G10 GMC C1500 C25. New. 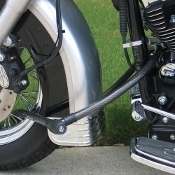 B & F Systems Motorcycle Cable Lock with 2 Keys. New. Baldwin Filters PF935. New. Baldwin Hydraulic Spin-on Filter. BT839-10. New. Barjan 48-054 Mini Acorn Nuts. New. Baylor University Trailer Hitch Cover. Plastic. 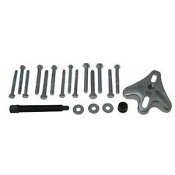 Bell 46127-8 License Plate Mounting Kit. New. Bendix 288818 Air Brake Chamber. Type 36. Bendix 322852 Brake Shoe Set. Four Shoes. New. BioSystems 54-9049E Equivalent Calibration Gas Cylinder. New. Blue Sea Systems 6005 M Series. New. Bullard 23611 Inlet Air Filter. New. Buss Car Fuses. Assorted Sizes. New. UK-6. Bussmann AGC-EK. Emergency Kit. AGC Glass Fuse Kit. New. Case 179-154 Screws. 2 Per Package. New. Case 414-412 Screws. New. 3 Per Package. Case 459-1108 Screws. New. 2 Per Package. Case 80682 Lock Washers. New. 3 Per Package. Case A 49/95 Oil Seal. New. Case A41490 Boot. New. Case D127648 Cab Parts. Refurbished. 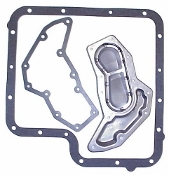 Case D50066 Gasket. New. Case G106443 Gasket. New. Case G48505 Spring. New. Case T102381 Spring. New. OEM. Caterpillar 100-6269 CAT Adjuster Plate. New. 1006269. Caterpillar 139-1996 Spacer. New. Caterpillar 148-7362 CM Tape. New. 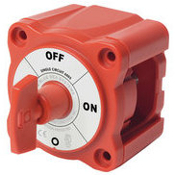 Caterpillar 1V6653 Toggle Switch. New. Caterpillar 1W1172 Gasket. New. 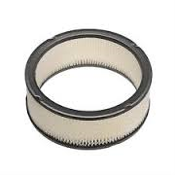 Caterpillar 2S4078 O Ring. New. Caterpillar 3E-6466 Lamp. New. Caterpillar 3V-0046 Plate. New. Caterpillar 3W-1573 Spacer. New. Caterpillar 3W-3580 Bracket. New. Caterpillar 4M6480 Gasket. New. Caterpillar 5M2057 O Ring. New. Caterpillar 6D9157 Seal. New. Caterpillar 6I2004 Gasket. New. Caterpillar 6S-1753 Ring. New. Caterpillar 6V-3294 Boot. New. Caterpillar 6V-5215L Bolt. New. Caterpillar 6V6210 Gasket. New. Caterpillar 6W-5817 Spring. New. Caterpillar 6Y-7577 Gasket. New. Caterpillar 7L3111 Gasket. New. Caterpillar 7N8779 Gasket. New. Caterpillar 7P-7305 Pin. New. Caterpillar 7W-2735 Gasket. New. Caterpillar 8G-6142 Strip. New. Caterpillar 8N2496 Gasket. New. Caterpillar 8R-2236 Washer. New. Caterpillar 9S8752 Nut. New. Caterpillar 9X-4493 Bulb. New. Caterpillar 9X-4494 Bulb. New. Caterpillar SR1425 Rebuild Kit. New. Caterpiller 1672302 U-Cup Seal. New. Champ AF697 Air Filter. New. 038568302632. Cincinnati Microwave Solo Radar Receiver. Used. Clinton Honda 30152 Accord/Prelude 1996-2000 Repair Manual. Cooling Depot 35334 Blower Motor and Wheel Fan. Datcon 02505-00 Oil Press Sender. New. 0-100 PSI. (26) Delco 47500 Ball Bearing. New. Delco Electronics 15144058 Speaker. New. Delco Electronics 15806970 Speaker Assembly. New. Detroit Diesel Filter Base Assembly. 8925877. New. Dodge 112194 Drive Component. 2 Belt Pulley. T-L Sheave. New. Dodge 117083 Taper-Lock Bushing. New. 1610 X 15/16 KW. Dodge 117084 Taper-Lock Bushing. New. 1 7/8". Dodge 117124 Taper-Lock Bushing. 2 3/8". New. Dodge 3020 X 2 1/8" KW Taper-Lock Bushing. New. 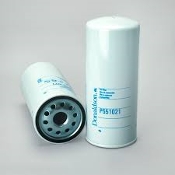 Donaldson P551021 Spin on Fuel Filter. New. Drive Accessories KT957-15S/L 15" Wheel Covers. New. E85711, SPT-2, VW-1, 18AWG/2, HC, LL34320. Car Charger. EF Products 336 5 UV Dye Shots. New. EF Products 419 Auto Air Conditioner Check Gauge. EF Products R-134a Cool Down. 313. Quest Products. Fafnir 5206W Double Row Ball Bearing. New. Fafnir RA008NPPB Ball Bearing. Fisher 1E845404022 Gasket, to 302F/150C. New. Fisher 1U234105092 Piston Ring. New. Fisher 1U239105092 Piston Ring, New. FleetFilter Wix 51759 and Napa 1759 Oil Filter. Fleetguard FF206 Fuel Filter. New. Fleetguard FF207 Fuel Filter. New. 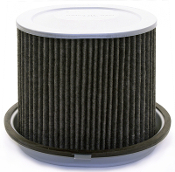 FleetGuard FS1212 Super Filter. New. Fleetguard HF6203 Hydraulic Filter. New. Fluitek H 3706-10M192 Filter. New. Garrity 1651 Flashlight Bulbs. "LOT of 3" Using 6V Battery. (H) GE All Glass Sealed Beam Lamp. New. MCG361-A3H. 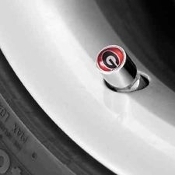 Georgia Bulldogs 66092 Valve Stem Caps. GM Electric Cooling Fan and Air Conditioning Diagnosis. GPS Carrying Case. 20-529. New. Group 7 VA2923 Air FiIter. New. 076333337816. Group 7 VA4375 Air Filter. New. 076333337953. Group 7 VA4379 Air Filter. New. 076333337793. Group 7 VA4656 Air Filter. New. 076333337014. Group 7 VA7 Air Filter. New. 076333337014. 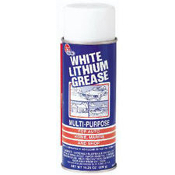 Gunk L6-16ES White Lithium Grease. New. 10.25 OZ. Honda Goldwing Chrome Trim Parts. Used. Hyundai DV-5H 935 CD, Cassette, FM AM Tuner Receiver. H935. Isuzu 2-90099-800-0 Convenience Net. New. Black. John Deere 238-5341 O Ring. New. John Deere 970-2121 I Bolts. New. 2 Per Package. Knott Brake 812558-012 RH. New. 48795. Lisle 18500 1 1/2" to 3" Ring Compressor. New. 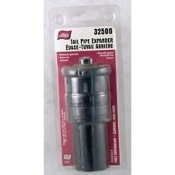 Lisle 32500 Tail Pipe Expander. New. Round Pipes. Lisle 45500 Harmonic Balancer Puller. New. Lisle 51500 Spark Plug Wire Puller. New. LOT of 5 Safety Vests. NT-703. New. Miami Hurricanes Trailer Hitch Cap. Milton 500-6 Dual Chuck Washers. 10 Count. New. Milton NO. 768. Kwik-Change Coupler Washers. Milton S682 Air Tank Conversion Kit. New. Milton s684 1/8" NPT Tank Valve. 2 Pack. New. Milton s791 Male Coupler Plug. New. 2 Pack. Mityvac 822304 Auto Vacuum Adapters. New. NAPA 1422 Hydraulic Filter. New. Napa 735-4955 Wheel Spacer. New. 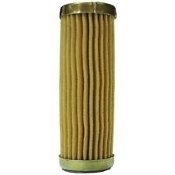 NAPA Gold Fuel Filter 3115. New. NAPA ProSelect 27502 Filter. OEM. Norman Filters P/N 525. 25 Micron. New. Ogura Clutch MA-6A Rotor Assembly. New. Omega Environmental Technologies 12-405. AC Rubber Hose. New. Omega Environmental Technologies 13-1101. TAAP. #6. Omega Environmental Technologies 13-1239. New. Omega Environmental Technologies 13-1242. New. Omega Environmental Technologies 13-1407. New Omega Environmental Technologies 13-1409 Automobile AC Filter. Omega Environmental Technologies 13-1410 AC Filter. 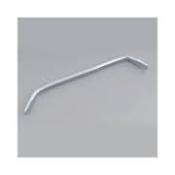 Omega Environmental Technologies 13-302 Steel Barb. New. Omega Environmental Technologies 13-303. New. Omega Environmental Technologies 13-319. New. Omega Environmental Technologies 13-344. New. Omega Environmental Technologies 13-3461. New. Omega Environmental Technologies 13-367. New. Omega Environmental Technologies 13-368. New. Omega Environmental Technologies 13-5809. New. Omega Environmental Technologies 131417. New. Omega Environmental Technologies 16-300 Auto AC Part. TAAP. Omega Environmental Technologies 30-13349. New. Omega Environmental Technologies 31-920. New. Omega Environmental Technologies 35-11123. New. Omega Environmental Technologies 35-11301. New. Omega Environmental Technologies 35-11303. New. Omega Environmental Technologies 35-11324. New. Omega Environmental Technologies 35-11594. New. Omega Environmental Technologies 35-11595. New. Omega Environmental Technologies 35-11597. New. Omega Environmental Technologies 35-11966. New. Omega Environmental Technologies 35-11967. New. Omega Environmental Technologies 35-11968. New. Omega Environmental Technologies 35-12681. New. Omega Environmental Technologies 35-13006-L. New. Omega Environmental Technologies 35-13010-L. New. Omega Environmental Technologies 35-13012-L. New. Omega Environmental Technologies 35-15802. New. Omega Environmental Technologies 35-15802. New. Omega Environmental Technologies 35-15803-A. New. Omega Environmental Technologies 35-15804. New. Omega Environmental Technologies 35-20121. New. Omega Environmental Technologies 35-B1304. AC131232. Omega Environmental Technologies 35-B1321. AC131239. Omega Environmental Technologies 35-B1403. New. Omega Environmental Technologies 35-B1421. Omega Environmental Technologies 35-B1423. New. Omega Environmental Technologies 35-B6101. New. Omega Environmental Technologies 35-S2901. New. Omega Environmental Technologies 35-S2902. New. Omega Environmental Technologies 35-S2903. New. Omega Environmental Technologies 40-10257. New. 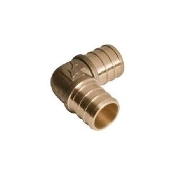 Omega Environmental Technologies 41-93111 Springlock Coupling. Omega Environmental Technologies 41-93113. New. #12. Omega Environmental Technologies 809532005480. New. Omega Environmental Technologies AC 13-362. New. Omega Environmental Technologies AC 16-200 Auto AC Connector. Omega Environmental Technologies AC-131409 AC Filter. Omega Environmental Technologies AC-13353. New. Omega Environmental Technologies AC131007. Omega Environmental Technologies AC131267. New. Omega Environmental Technologies AC131406. New. Omega Environmental Technologies AC131416. New. Omega Environmental Technologies AC13336. New. Omega Environmental Technologies AC13345. New. Omega Environmental Technologies AC13354. New. Omega Environmental Technologies AC13359. New. Omega Environmental Technologies AC135802. New. Omega Environmental Technologies AC135906. New. Omega Environmental Technologies AC135980. New. Omega Environmental Technologies AC135981 Valve. New. Omega Environmental Technologies AC135981. New. Omega Environmental Technologies AC13737. Omega Environmental Technologies AC16100 Automobile AC. Omega Environmental Technologies. 35-15801. New. Omega Environmental Technologies. AC-13338 AC Adapter. New. Omega Environmental Technologies. Taap 13-370. New. Omega Environmental Technologies. TAAP: 13-1408. New. OSU License Plate. Used. Performance Tool W1269. 039564113871. New. Performance Tool W179C. New. 039564101892. Performance Tool W80570 Small Valve Lapper. New. Peterson Plug-in License Plate Light. New. PM-438. Peterson PM 435 PM435 License Light. New. Philips Auto Bulbs 194/158. Side Marker-Tail Instrument. Philips Auto Bulbs. MBC 1895. D28. M55546. 2 Per Package. 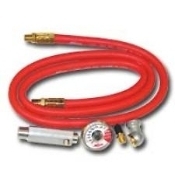 Pneumatic 166M032-026A Vacuum Air Shop Vacuum. Used. Prince 156319 Kit. New. Project Select SB-100 Sanding Block. New. Retail Package. PTC ATP.Z158 Automatic Transmission Flywheel Flex-Plate. PTC F-16 Automatic Transmission Filter. New. PTC F-166 Automatic Transmission Filter. New. PTC F-31 Automatic Transmission Filter Kit. New. Quest 313 R-134a Auto Air Conditioner. New. Quest 326 R-12 R-22 Super Seal. New. Quest 405 R-12 to R-134a Retrofit Parts Kit. New. Quest 441 R-12 to R-134A Conversion Valve. New. Quest 446 R-134A Protective Cap. Low Side. New. Quest 447 R-134A Protective Cap. High Side. New. Quest 450 R-12 to R-134A Termination Cap. New. #450. Quest R-12 to R-134A Conversion Value. New. Part No. 442. Raymond 312/8 Master Brake Cylinder. New. Raymond 484-050-031 Ring Gland. New. OEM. Raymond 530-727/01 Hydraulic Cylinder Seal Kit. Raymond 540047224 Shaft Piston Rod. New. Raymond 838000687 Adapter-Mech. New. Sam Houston 29470 Valve Stem Caps. New. SCC QG 20070 Quik Grip Tire Chain Tightener. New. Service Plus SPD-GSNI-5250-60 Rod. New. Sexauer 072421 O-Ring Metal Case. Used. Shark Bite UC274LFA Reducing Elbow. 1/2" X 3/4". Shibako 45126-300-030 Brake Hose Upper. New. Sirius Satellite Radio Stratus SV3-TK1R Plug & Play Car Kit. SKF 10075 Oil Seal. New. SKF 17782 Rear Oil Seal. New. 0085311019248. 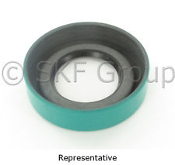 SKF 39120 Oil Seal. New. Joint Radial. SKF 6204 2ZJ Ball Bearing. New. Snap Wire Drier. S581. Super Spray. New. Stenner #5-25PSI Pump Tube. New. Subaru 431617100 Fork Clutch Release. New. Subaru 441807000 Sleeve Syn. New. Subaru 498627100 Seat Compressor. New. Subaru 745521000 Oil Cooler Hose. New. Subaru 757331011 Cable AY.R Gate. New. Subaru 757553010 Trunk Opener Cable. New. Subaru 757744380 Bumper End Cap. New. Subaru 757744490 Side Bumper. New. Subaru 757744610 Side Bumper. New. OEM. Subaru 790367290 Strip. Roof. New. Subaru 799984040 Front Left Lamp Trim. New. Subaru ABU5-01 1600 and 1800 Parts Catalog. Subaru CR-GF141AA AM/FM Push Button Radio. Used. Subaru Inner Seat Belt. 764169060. New. Taap 13-1103 Springlock Coupling Repair Clamp Kit. New. Texas Auto Air Parts 16-338. New. AC16338. Thermoid 1582 Heater Hose. New. 5/8" X 6'. Toro Lawn Boy 35-3099 Solenoid Assembly. New. Torrington 12SBB20 Bearing. New. Toyota AD6805 JBL, Dolby 8, Car Stereo. OEM. Toyota Replacement Fender. TY-10049AL. Left Side. Toyota Replacement Fender. TY-10049AR. Right Side. Toyota TY07103GZ Chrome Front End Grill. New. TVI Automobile Fuel Filter. TVI GF 471. New. U.S. Traffic LEDP-HMM-001 Hand Man LED Light. Refurbished. UTA Metal Auto Emblem. 58685. New. Whelen 02-0361183-C3 Halo Reflector. New. 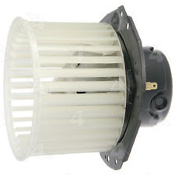 WIX 533188 Filter With Gasket. New.